On March 23, 1950, the World Meteorological Organization was created as a specialized agency of the United Nations. The WMO speaks on the state of Earth’s atmosphere and reports its interaction with oceans, the climate it produces, and the resulting distribution of water resources. The WMO assumed the responsibilities of the International Meteorological Organization that had operated from 1873 to exchange weather information among countries for weather forecasting. Each year, the WMO observes its anniversary date as World Meteorological Day. It is the third day in a sequence of three days that the United Nations agencies use to report on and to call world attention to the state of the planet’s forests, water resources, and weather complex. Earth observation satellites constantly evaluate the state of these resources in real time. Just like its forest impact, water cycle, and atmosphere, Earth’s weather has no political boundaries. Weather-, climate-, and water-related hazards account for nearly 90% of all natural disasters around the globe. Climate change disrupts the natural pattern of seasons. It increases the frequency and intensity of extreme weather events — heat waves, droughts, tornadoes, heavy rainfall — and all provide a preview of a hotter, drier, wetter future. 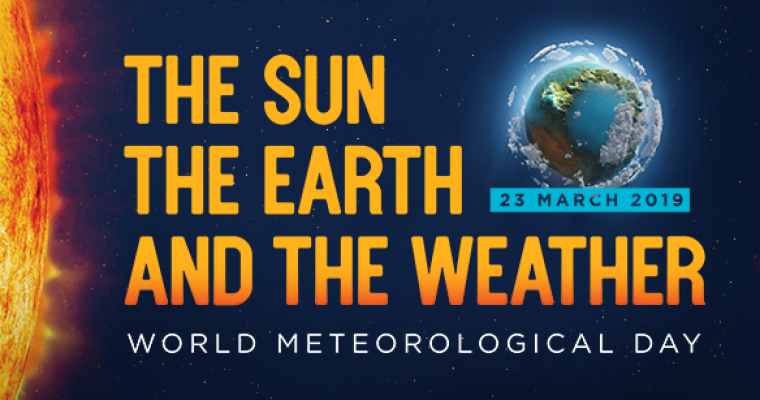 The theme of World Meteorological Day 2019 The Sun, The Earth, and The Weather is directed at raising our awareness of delicate meteorological interactivity. Fortunately, there is hopeful news. The world’s governments unanimously adopted the Paris Agreement in December 2015. This agreement “commits all countries to undertake ambitious efforts to respond to the urgent threat of climate change”. No longer! By learning through advances in meteorology how Earth’s systems work, we can better manage our planet’s resources and ourselves. Check out the World Meteorological Organization’s youth website. It’s packed with informative graphics, quizzes, projects, experiments, simulation games, brochures, puzzles, links to great meteorology sites around the world that include interactive web games. WHY THE WORLD NEEDS METEOROLOGISTS! This entry was posted in On This Day and tagged March 23, On This Day, The Roberta Bondar Foundation, World Meteorological Day, World Meteorological Organization. Bookmark the permalink.